Alpha 66 was established by Cuban exiles after Fidel Castro gained power in Cuba. It received considerable funding from right-wing figures such as Henry Luce and Claire Booth Luce. In 1962 Alpha 66 launched several raids on Cuba. This included attacks on port installations and foreign shipping. 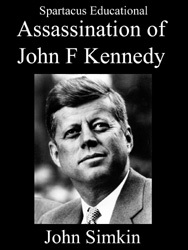 The authors of Deadly Secrets: The CIA-Mafia War Against Castro and the Assassination of JFK (1981) argues that Clare Boothe Luce paid for one of the boats used in these raids: "The anti-communist blonde took a maternal interest in the three-man crew she adopted... She brought them to New York three times to mother them." Claire Booth Luce later told Gaeton Fonzi that the attacks had been organized by her friend, William Pawley: "Luce said that Pawley had gotten the idea of putting together a fleet of speedboats-sea-going Flying Tigers as it were-which would be used by the exiles to dart in and out of Cuba on intelligence gathering missions. He asked her to sponsor one of these boats and she agreed." John Newman argues in his book, Oswald and the CIA (1995) that Pawley was working for the CIA in Miami. He argues that he was involved with Haroldson L. Hunt and quotes James P. Hosty as saying: "H. L. Hunt was backing Pawley's people, and they were also getting support from Henry Luce." Tony Cuesta and Eddie Bayo were both prominent figures in these attacks. Cuesta carried out raids on Cuba and was involved in the sinking of the Russian merchantman Baku. His activities were reported in Life Magazine in the spring of 1963. In 1976 Antonio Veciana, the leader of Alpha 66, told the House Select Committee on Assassinations that he obtained operational guidance from a Central Intelligence Agency agent known as Maurice Bishop. Veciana claimed he received $253,000 from Bishop. In 1961 Veciana worked with Bishop on a plan to assassinate Fidel Castro. Richard Schweiker, a member of the committee, speculated that Bishop was David Atlee Phillips. Schweiker arranged for Veciana and Phillips to be introduced at a meeting of the Association of Retired Intelligence Officers in Reston. Phillips denied knowing Veciana. After the meeting Veciana told Schweiker that Phillips was not the man known to him as Bishop.